Situated on the banks of the Campaspe River the township of Elmore is rich with unique built and natural spaces to see and explore. Whether you’re after breakfast, lunch or dinner, great coffee or a snack on the go, Elmore’s eateries have a range of options to suit everyone’s needs. Elmore is a shopper’s delight with everything from hardware and agricultural supplies, to groceries and giftware, service providers and trades people. The Elmore community is rich with opportunities for individuals to get active, get social and get involved. The Elmore calendar features a variety of unique experiences, none more famous than the Elmore Field Days. 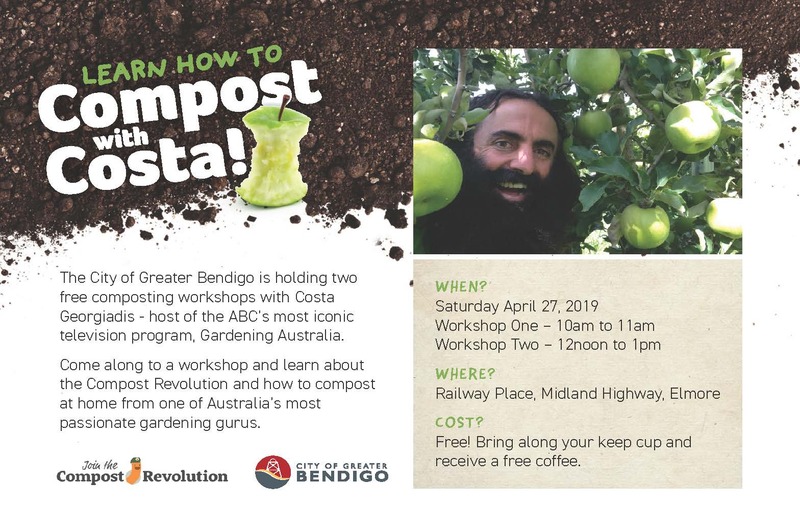 Learn how to compost with Costa! Read more: Learn how to compost with Costa! 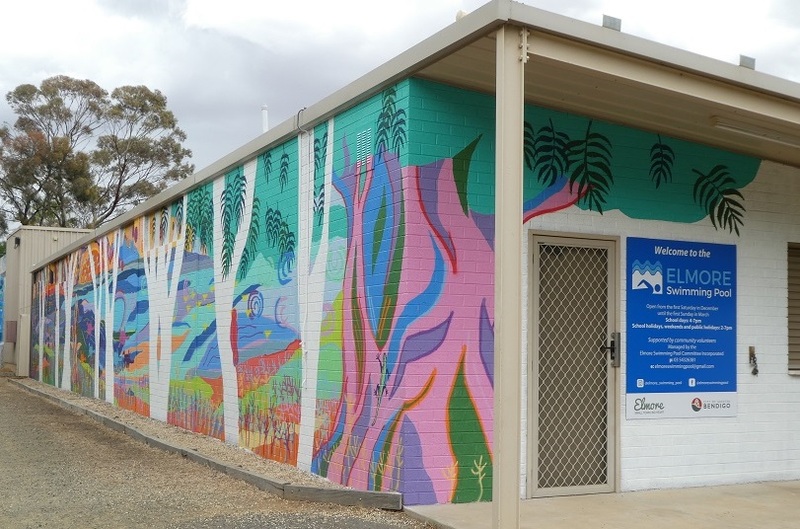 Reflecting a dynamic, contemporary view of the Campaspe River, the Elmore Swimming Pool Mural 2018 aesthetically enhances a much loved local destination, furthering its appeal as a drawcard for locals and visitors alike.